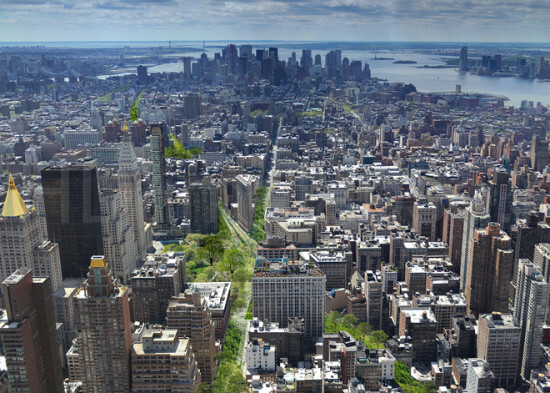 It may not look like Los Angeles' next great street yet, but Broadway is changing fast. The latest development in the street's ongoing transformation is the city's Broadway Streetscapes Master Plan, which is revamping the historic thoroughfare for pedestrians and urban activity. The project just completed its $1.5 million"Dress Rehearsal." The plan, using temporary materials to preview the permanent installations to come, was begun in February by Melendrez. 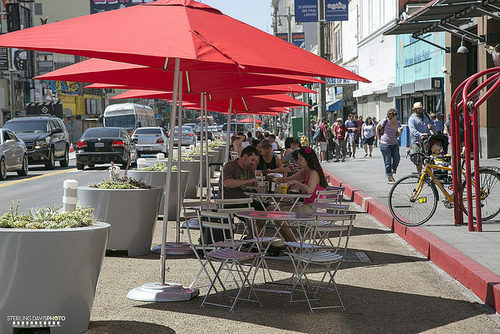 It has replaced the street's western lane of traffic from 3rd Street to 11th Street with bulb outs of decompressed granite groundscape, tables, chairs, umbrellas (shade! ), and planters. LADOT's final version will include permanent paving, trees, new lanterns, and more. 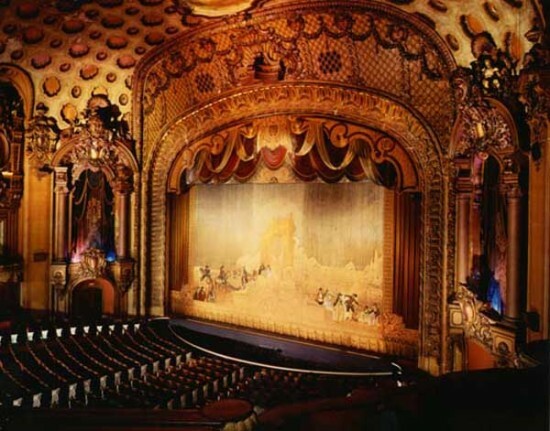 It's part of councilman Jose Huizar's Bringing Back Broadway initiative, which is revamping the street through design guidelines, adaptive reuse incentives, signage regulations, infrastructure improvements, and more. Our friends at Curbed LA first reported on the Dress Rehearsal, and they have more pix below.